Meiklejohn Architects were retained to complete the design that was originally conceived by Busby Perkins and Will. The project consists of a two-storey commercial podium, topped by a 10-storey condominium tower and four-storey townhouses. The commercial spaces include restaurants, an open market, personal services, professional offices and retail spaces. It features a large open courtyard for public performances and neighbourhood gatherings. 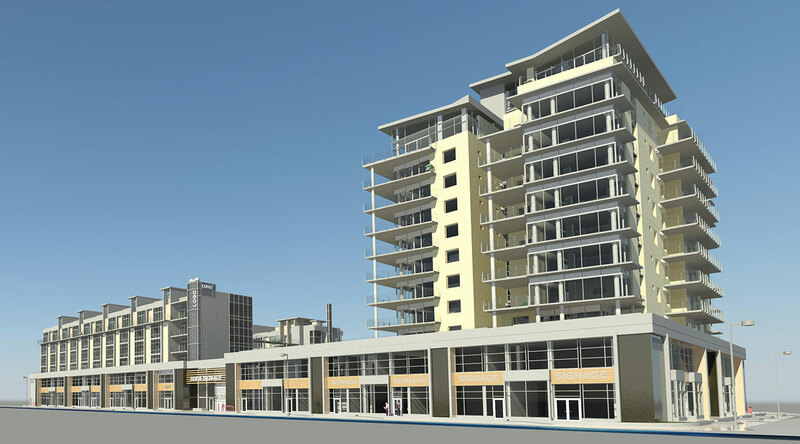 The project is focused on reducing the carbon footprint of the tenants by putting all services within walking distance. Meiklejohn Architects took the original design and reconfigured most of the residences and the commercial spaces in order to value engineer the project while maintaining the original vision.